Carl Richards’ book The One-Page Financial Plan has been out for a little over a year so this isn’t exactly a fresh review. It’s a very quick and easy read, punctuated with Carl’s simple but illuminating sketches. I want to both sing the praises of this book and damn it, sometimes for the same parts. Time with family doing things we love! Those are a list of priorities, and this fits so well with the kind of planning that Sandi describes in her library talks, about goals and direction. This is a fantastic exercise to do and I think it’s great that the book covers it so well — this is an easy thing to overlook when trying to plan. And then I get angry because it’s not a plan, or at least not what you expected a plan to be going in, so the title feels like a cheat. Then there’s a great analogy about putting together a children’s toy, and the picture on the box vs. the detailed step-by-step instructions, which makes me love it again. But that still doesn’t make the picture on the box a plan. Grr! Anyway, if you were expecting to walk out with a step-by-step guide for creating a detailed financial plan that mapped out how much you had to save in which baskets, you’ll be disappointed. However, it’s a short read, and thinking about your goals and priorities is an important part of the planning process, so it’s still worth your time. I have to admit, I was really afraid to read Wealthing Like Rabbits based on the previews and excerpts I had seen. I was also afraid because the title was explained with this blurb: “Let’s take the word wealth, which is a noun, and start using it as a verb. The new word wealthing will replace saving when discussing any saving that increases your net wealth,” and I was scared that it was going to be wall-to-wall neologisms. I was pleasantly surprised: It’s actually a really good cheerleader for personal finance. It’s full of highly relatable anecdotes advising readers to set up good savings habits, control their spending, and build their lives on a solid financial foundation. The irreverent examples using zombies and hockey are not taken too far (with the exception of the debt = smoking one), and each chapter has its own unique pop culture reference to help prevent them from being over-stretched. WLR has the subtitle of An Original Introduction to Personal Finance and the key word there is introduction. 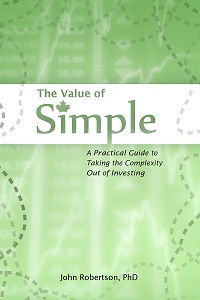 It is not a guide or user’s manual, and Robert Brown is no Michael James on Money — the book has a few technical mistakes and misunderstandings… But it’s not a book on details anyway. The sins are of detail and not of message, and the message is just fantastic. It’s not detail-oriented, but like a good cheerleader it’s just to get you riled up and rooting for the home team, not to deliver a detailed game plan for the next play. And WLR is great in that role: it is so easy to read and does such a great job at those alternate life comparisons that I think it’s well worth reading for a newbie, and would make a good first introduction to personal finance — the details (that geeks like me love to nitpick) can be ironed out in their second or third PF book. I was also relieved to find the bit on the wealthing neologism at the end of the book, and not a new phrase the author tried to wedge into the entire thing. I’ve noted some points as I was reading it (and Michael James on Money already covered many in his review), so here is a breakdown of some things to watch for. RRSPs: The most noticeable errors (in terms of affecting the message) come from discussions of RRSPs. TL;DR: just accept the take-home message that you should save and invest for your future in some combination of an RRSP and TFSA, and pick up the details elsewhere. Early on in the book, WLR calls the refund from an RRSP contribution a windfall, and suggests that younger readers use RRSPs over TFSAs because they would rather get this windfall when young than when old. Yet later, when discussing the home buyer’s plan, he suggests the opposite: that using the tax savings for a downpayment is “…stealing from a future version of yourself.” [emphasis in the original] Describing the home buyer’s plan is a touch challenging, but to break it down simply I’ll put it this way: it’s a way to use “the government’s portion” of your RRSP as a downpayment now, or to use pre-tax money for your downpayment. For example, if you’re in the 30% tax bracket and were able to save $17.5k in your TFSA as a downpayment for a house, you could instead have put the $25k you made (and were taxed on before putting the funds in your TFSA) in an RRSP pre-tax, and then used the full $25k for your downpayment. In many cases, this difference (~$7.5k depending on your tax bracket — double for a couple) is not enough to worry about getting into a commitment to repay and the psychology of tapping into sacred retirement funds and all that. However, if that amount can make the difference between having 19% down and getting stuck paying CMHC fees or having 20% and avoiding them, it can be well worth it (though you could just save a up for a few more months too). The HBP is often described as a loan to yourself from your RRSP, which is right because you have to pay it back, but doesn’t really get to the main benefit. Of course, the main drawback is that you do have to pay it back and a shocking number of people don’t, which is why WLR comes in against it. What’s weird is that the book then recommends paying CMHC fees over using the HBP. The HBP has the risk of not getting repaid and costing you some RRSP room and a premature tax bill, but paying for mortgage insurance is guaranteed money out the door. As for the windfall issue, I tackled that in an earlier post. In short, it’s not — the refund is a total red herring that confuses a lot of people with the RRSP. When describing the benefits of enrolling in an automatic RRSP payroll deposit plan, the book says that “If you contribute $50 a week to your RRSP, you can reduce your taxes by $50 a week.” Not quite: a $50 automatic contribution will reduce your taxable income by $50; your reduced tax withheld will be more like $15, depending on your tax bracket. Again, it’s still a good idea, but the details are off. Paying off debt vs investing: There is one bit of flawed reasoning that crops up in a few places. When discussing whether to pay of debt first or to start investing, the book says “Yes, the debt’s interest is likely higher, however, I really, truly hope that the interest on your savings will be compounding for a much longer period of time than the interest on your debt will be, which makes the math favour the savings plan.” No. There is a big benefit to starting to save early, but that applies equally to reducing debt early — investing does not get special treatment in this regard, and your savings from the future will not hitch a ride on the TARDIS to come back and thank you for birthing them earlier. If the interest on your debt is higher than your expected returns from investing, then paying the debt off aggressively is the right move. Your retirement savings may have 40 years ahead of them to compound when you’re in debt, but for the first year of building them up your debt and retirement savings both compound for a year; the year after that adds exactly one year to each: your debt (negative wealth) growing every bit as fast (or faster if the interest rate is higher) as your investments. Where it makes sense to invest before paying off your debt is when your expected return is higher than the interest on your debt — or to pay the penalty for behavioural reasons. 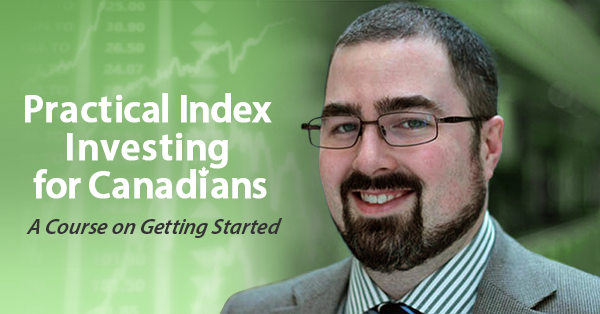 He does have a side point that starting to save and invest early will get you into the good habit of building up your RRSP and avoid procrastinating, and I think this has merit. I’ve seen some people get caught unsure of where to go after finally paying off their debt — starting to invest a bit before the big zero day can make the transition smoother, even if it’s not mathematically optimal. But these behavioural factors are not what the math says you should do. In the margin I starred this paragraph: “…all habits are forming. The sooner you embrace and establish the habit of saving, the easier it will be for you to maintain that habit throughout your life. If instead you develop a habit of postponing saving until a better, more perfect time, you will (with the best of intentions) establish a habit of procrastination. And you know what? There is no perfect time!” That was great and could have stood on its own. Mortgage math: A big part of the alternate reality possibilities centre around buying a larger house or a smaller one. The most math-heavy part of the book is comparing the housing choices of two brothers, one of whom stretches to the max while the other starts with a more realistic budget. There are many tables of figures there, and even I was starting to tune out at the number over-load. There is an exceptionally common error about mortgage payment frequency out there that also appears in WLR, “The more frequent your mortgage payments, the less total interest you will pay over the length of your mortgage.” So far so good — this is true. However, the effect of paying more frequently is quite small and often over-stated by confusing more frequent payments with accelerated payment schemes. I highly recommend aligning your mortgage payment frequency with your paycheque frequency: if you get paid biweekly, make your mortgage biweekly. But if you get paid monthly, there is no point in making your mortgage payment weekly — the savings on interest are minimal, and anyway you end up having to push a payment back just so you can keep a balance in your chequing account to spread a monthly paycheque over several weekly periods. WLR falls into the common mistake of confounding accelerated payments with more frequent payments: “The difference is substantial. A $350,000 mortgage at 5% paid monthly would …[numbers]… The same mortgage would cost only …[numbers]… a savings of $30,187 just for paying more often.” [emphasis mine] No, the savings are from paying more, not more often. Accelerated weekly/biweekly plans are a good behavioural way to arrange paying more on your mortgage, but they are not magic. If your budget is constraining you from paying your mortgage down aggressively, signing up for an accelerated weekly or biweekly mortgage can lead to nasty surprise when you hit your first month with an extra billing period in it. Again, these are nitpicks for geeks like me. The book is good for its anecdotal value, the relatable stories that will help people learn and remember the basics. You are currently browsing the archives for the Complaints & Reviews category. Blessed by the Potato is proudly powered by WordPress ♦ Entries (RSS) and Comments (RSS). ♦ 26 queries. 0.422 seconds.